Located in Barangay Ayala, Magalang, Pampanga, Abe’s Farm provides a unique leisure and gastronomic experience in the province. It offers a variety of facilities and amenities for guests to enjoy. It has a swimming pool, restaurant, spa, museum and a number of comfortable accommodations for a complete leisure and relaxation. 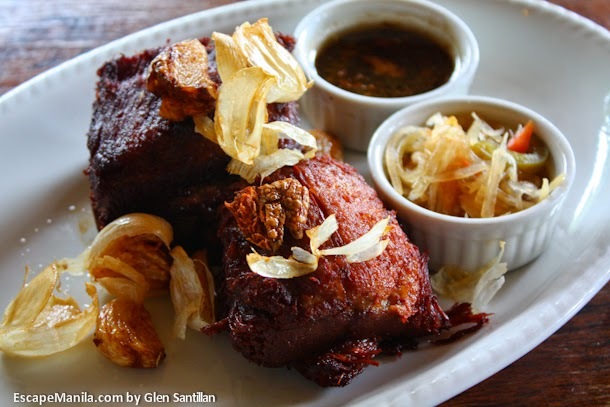 It is named after Emilio Aguilar Cruz, the father of Larry J. Cruz, owner of the LJC group of restaurants. 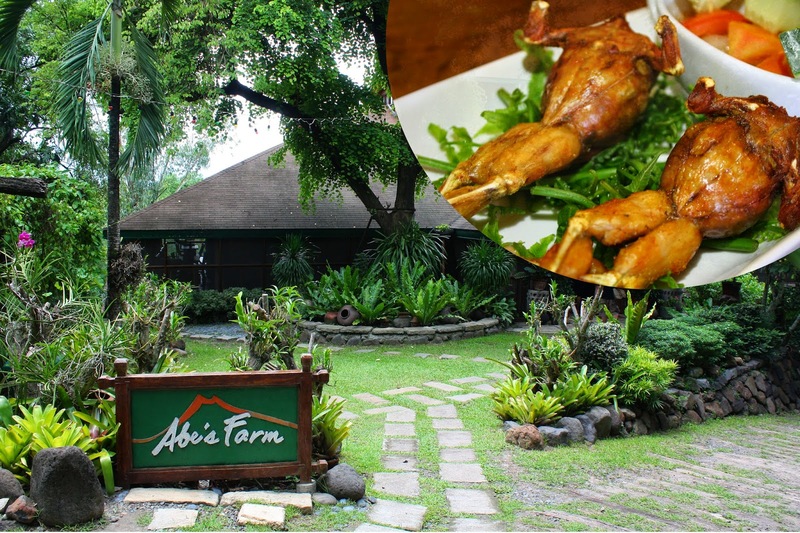 Abe’s Farm attracts customers who want to have laid back experience while having fun at the same time. 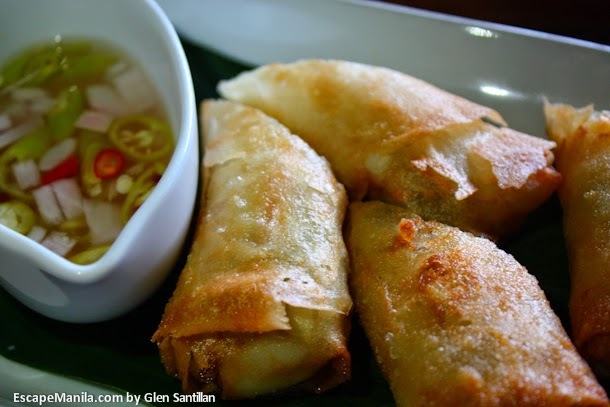 The main reason why people visit the farm is to indulge their taste buds with authentic and delicious Capampangan cuisines in the comfort of a quiet and relaxing place. During the Metro Angeles Food Tour, we were lucky enough to sample some of the best-selling dishes of Abe’s Farm from appetizers, entrees, and desserts. 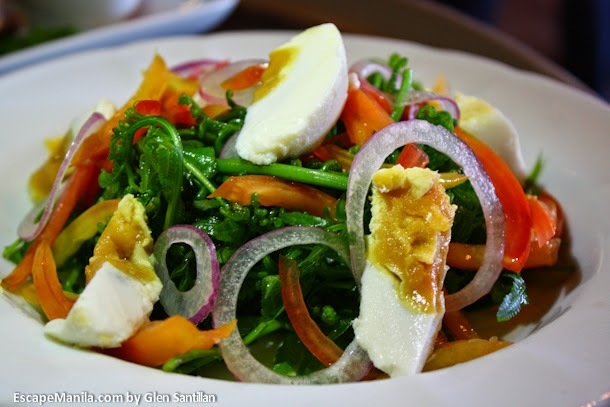 The salad is made up of blanched fresh fiddlehead ferns, tomatoes, capsicum, red onions and garnished with slices of salted eggs. It is drizzled with vinaigrette to enhance the flavor of the salad. 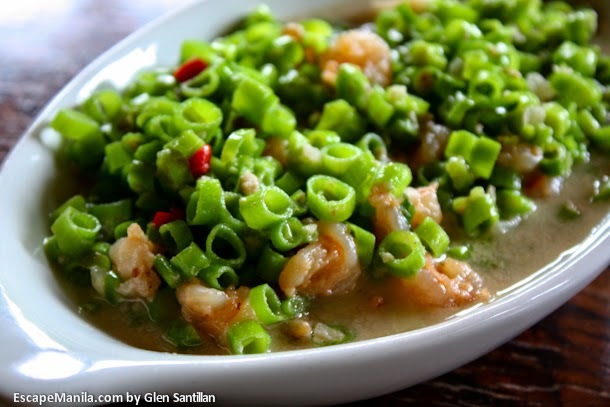 Abe’s Farm’s version of gising-gising is composed mainly of sliced kangkong stalks, meat, chili and coconut milk. The sweetness of the coconut milk and the kick of the chili make the dish more flavorful. 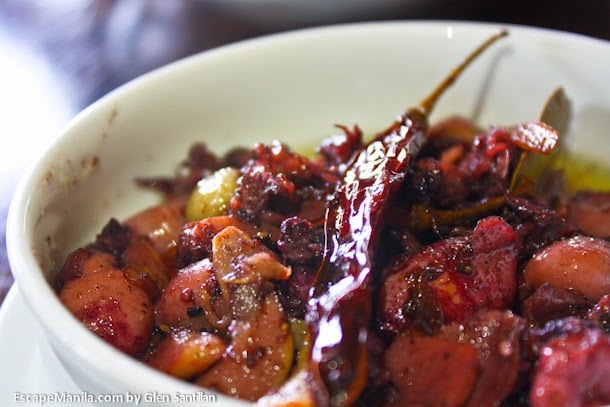 It’s squid sauteed in olive oil, garlic, soy sauce and chili. 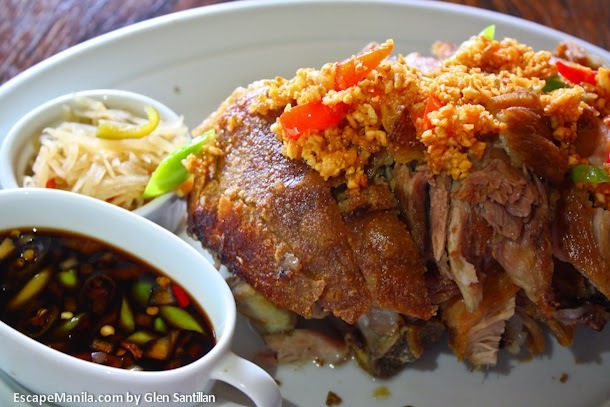 It’s their version of the Pinoy-favorite crispy pata which uses only pork knuckles instead of the whole pork legs. The pork belly was slow-cooked in soy sauce, vinegar and water to get the perfect tenderness of the meat. After which, it was deep fried to crisp the outside layer of the meat. It’s crispy on the outside and tender on the inside. 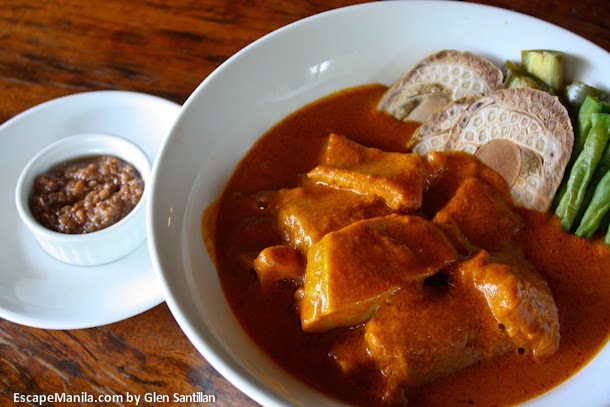 Abe’s Farm’s Kare-kare has both oxtail and tripe with rich and tasty peanut sauce. I actually like the consistency of the sauce as it wasn’t too thick. The added veggies were not overcooked so I also liked it. 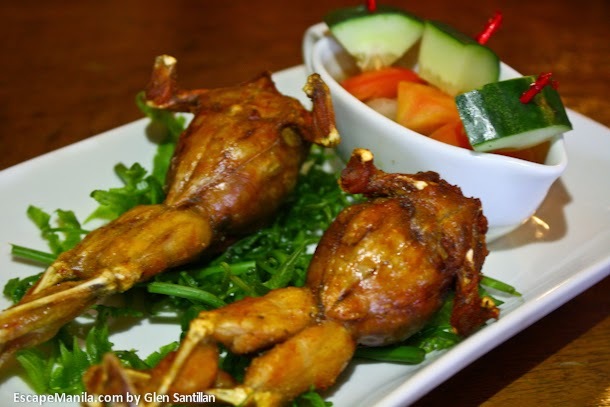 Betute is a Pinoy exotic food which is basically deep-fried stuffed farmed frogs. 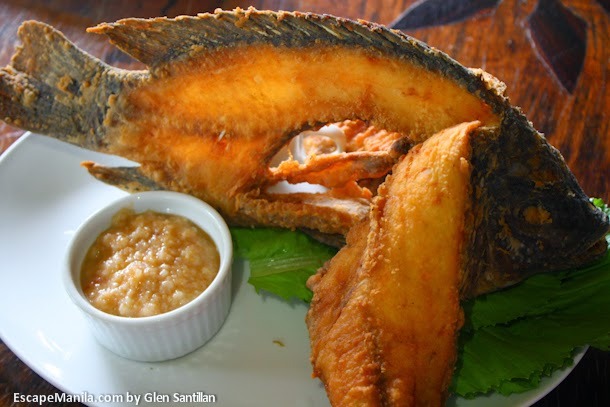 It is widely available in the province of Pampanga. This is not your ordinary dessert. 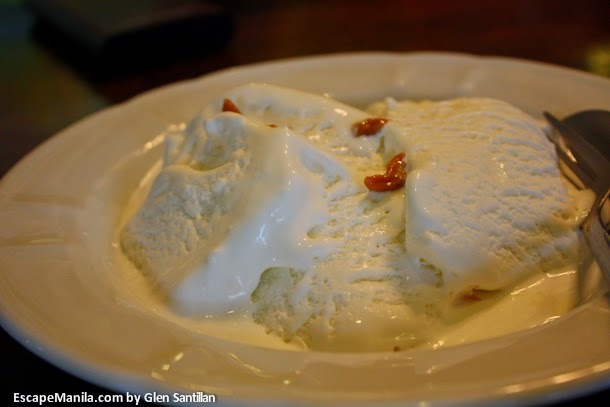 It’s sticky rice and fresh slices of mangoes covered in vanilla ice cream. It’s mouthwatering and refreshing.